A Kitten and a Goose. We have a new member of the family. 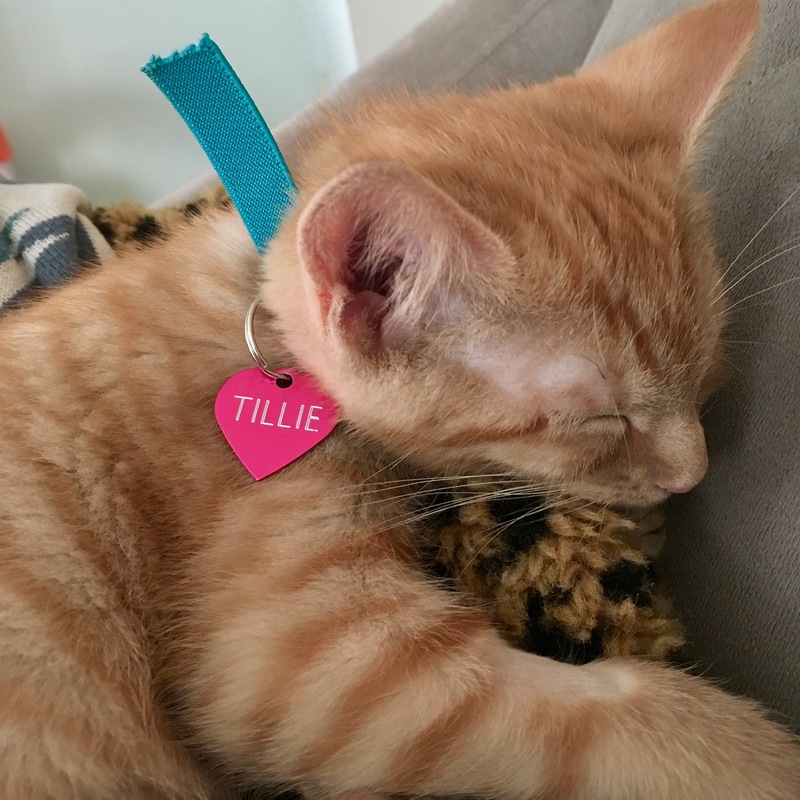 Meet Tillie. Yes, we have a kitten. I already love her but what the hell was I thinking!? We live very close to the Animal Welfare League of Arlington, and we often stop in during our walks to say hello to the animals. And apparently it is Kitten Season. 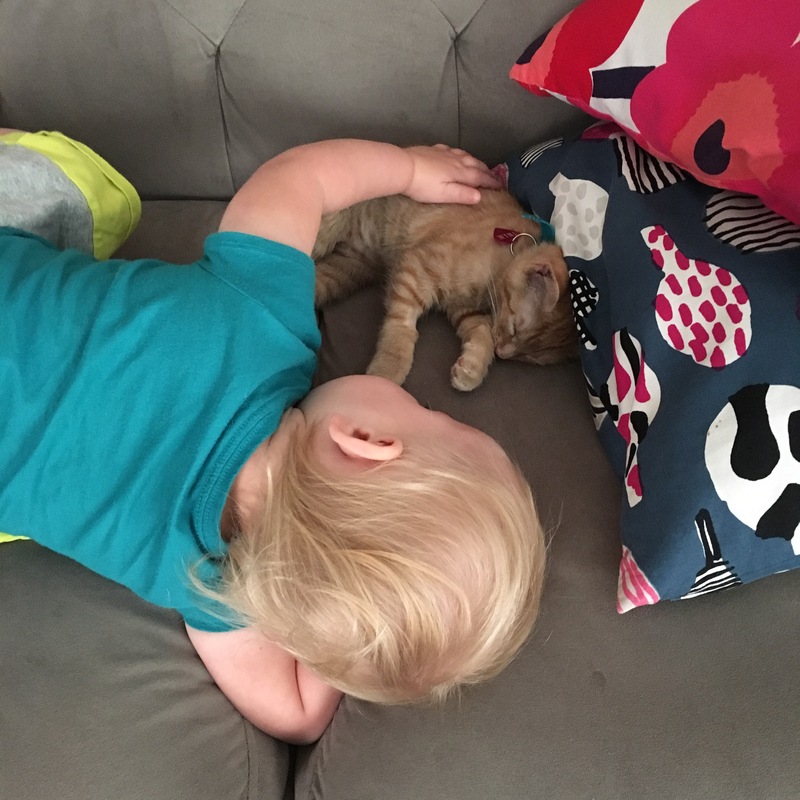 Babystar always liked the animals, but on the visit in question, she fell in HEAD OVER HEELS LOVE with a particular kitten. He was gray and white and his name was Frankenstein and he had a sister that was also available for adoption. 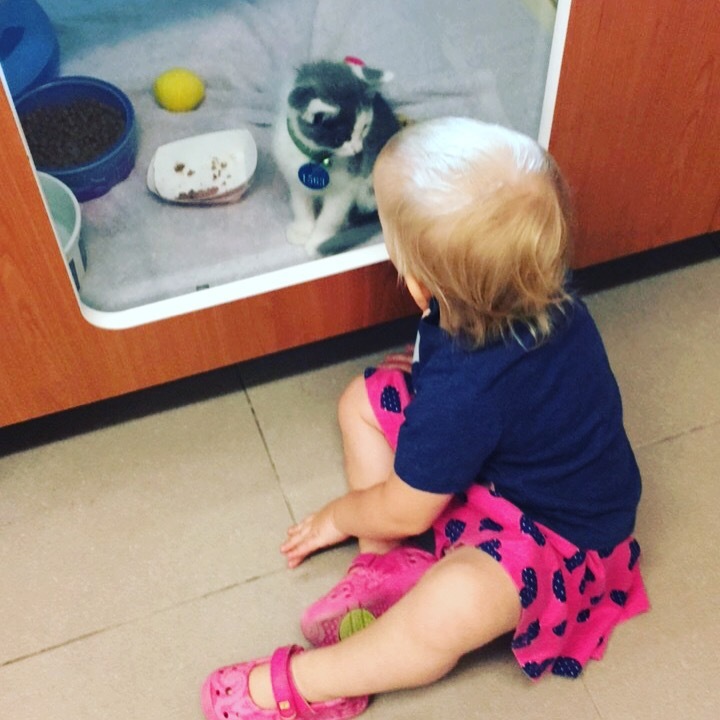 She sat in front of his cage and talked to him and played with him for so long that I decided to adopt them both. When I asked about them, I found out that a couple was literally filling out the paperwork at that very moment to adopt them both. I saw them; they looked nice. Case closed, right? I made the mistake of texting pictures of Babystar and kitten to the fam. Whoops. The Teenager was up, showered, and at the park to meet us and plead her Kitten Case within the hour. So we stopped in again on the way home from the park for no reason other than to see if Babystar went to the same kitten. But Frankenstein already had a family, as I explained once to the ToddlerMonster and about fifty times to the TeenageMonster. And then we met Tillie. She was in the cage next to Frankenstein, and her name was actually Lily. There were two identical cats listed on the picture, named Lily and Millie. But only one kitten was inside. Someone had just adopted Millie and left Lily behind. Babystar was choosing a collar and toys for her and then running to show her (!!!) while I filled out the paperwork. It was adorable. And they really are like siblings. They fight over toys and attention and already love to play with each other. But the kitten isn’t on Babystar’s tab. It was time for more cats. Or cat, singular, in this case. If anything, Babystar is the reason we didn’t get two. Oh, and the Goose. We checked out a few story books at the library recently, and Babystar became enamored with one of them. 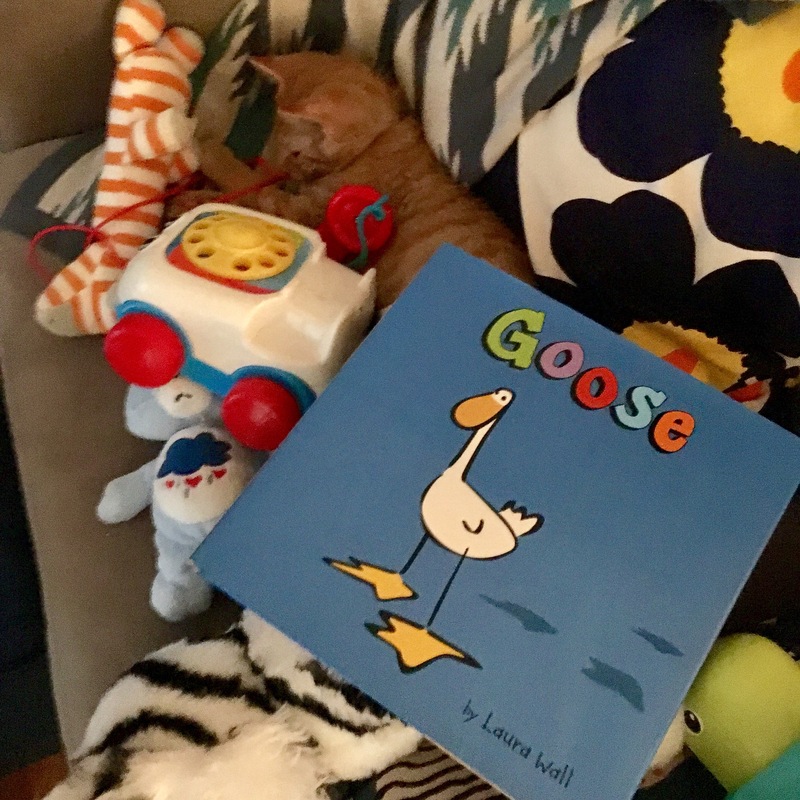 Goose, by Laura Wall. She asked to read this book over and over and over and she can now ‘read’ it herself. 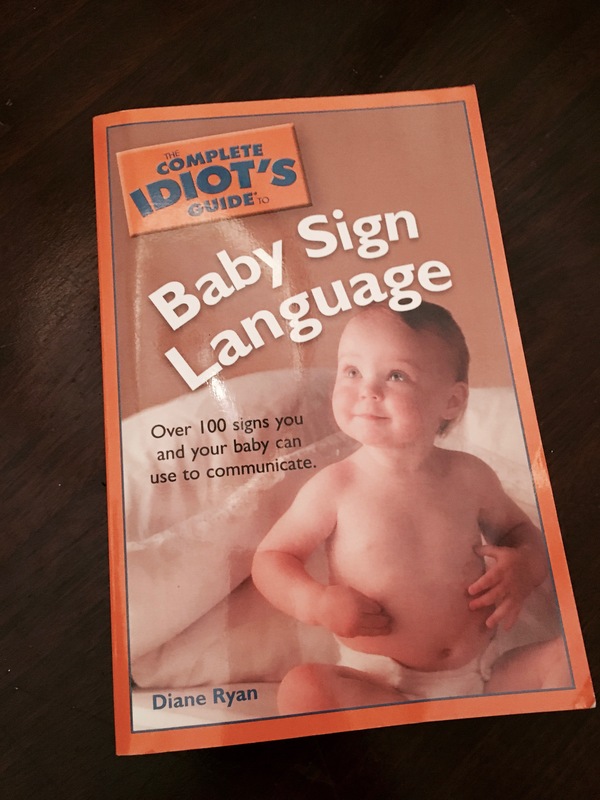 I highly recommend this book, and we bought her a copy from Amazon for $7.20 (it’s still on sale!). Spine of Board Book must be a delicacy in certain Toddler Circles. Babystar loves to eat her books. Silly baby. The sweet Husband noticed and he also noticed that she liked books with real babies in them and he probably also needed to up his total for Amazon Prime now that they have that new ‘only available as an add-on b.s. now what even is that’ so he bought her some new board books. I’m told the total was about $16. I have seen these books with my own eyes but cannot find them all now. I would bet money that at least one is in the van. Here’s an action shot of one of them though. At least she is turning the pages too fast to chew on them these days. The warm weather has FINALLY arrived. We found a WHOLE BLOCK of yard sales on Saturday. I love when neighbors organize for my convenience. We bought some super cool books from one house for $5. And we bought a SWIMMING POOL from another house for $5. The baby loved it. The Teenager is the best sister ever btw. We had a blast. We bought $10 in tickets and Babystar played in the ball pit a few times, bounced in the castle with her sister, and chose three used board books from the ‘bookstore’. Mostly she loved cruising around in her pink cadillac and watching the other kids. We even got a turn on the baby swings. During one round of ball pit fun, there was another baby girl playing beside her. They kept mimicking each other. The baby girl ate a ball, so Babystar would eat a ball. Babystar threw a ball out onto the ground, so the baby girl threw a ball onto the ground. The baby girl stood up on the edge, so Babystar stood up on the edge. It was sososo cute. The baby girl’s parents and I laughed together and could communicate just enough to know that both babies were eleven months old. The babies were able to communicate just fine, though, via their Baby Telepathy. Little geniuses. Ace of Base, anyone? No? Yeah, me neither. But check out my cool score at the Goodwill today! $1.69!